Mothers in the Turkish city of Istanbul gathered to protest and remember relatives who disappeared during the political violence of the 1990's. Turkish police decided to forcefully break up the gathering using water cannons and tear gas, The then arrested around 50 people at the gathering. 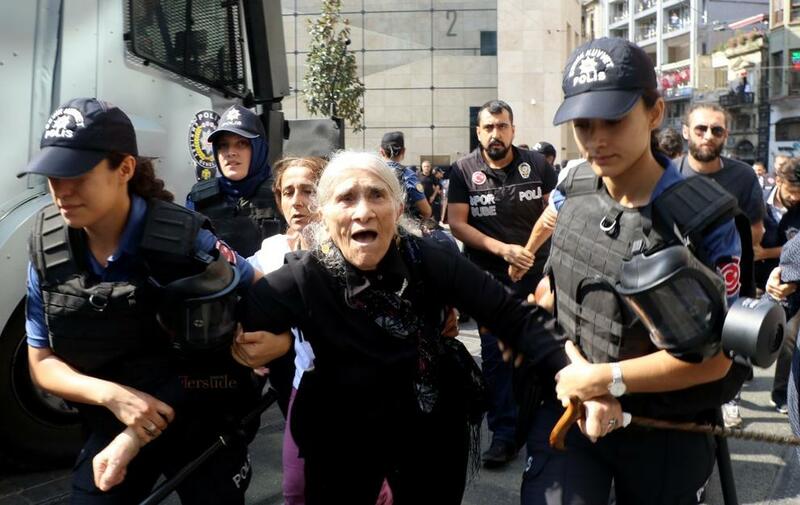 Veteran protester Emine Ocak, an elderly woman in her 80s, was among those detained. The group that organized the gathering is called the Saturday Mothers and have met in central Istanbul since 1995. Today's protest was the group's 700th protest. Human rights groups called out the Turkish government for cracking down on the Saturday Mothers. Emma Sinclair-Webb of Human Rights Watch said the actions of Turkish police were "shameful, cruel treatment of families seeking justice for state crimes." A local government statement said the gathering was banned because it had been publicized on social media accounts liked to the Kurdistan Workers' Party (PKK). The Kurdistan Workers' Party (PKK) launched an armed resistance against the Turkish government in 1984 in an attempt to make an independent Kurdish state within Turkey. The conflict has resulted in the deaths of tens of thousands of people since it began. Because of the mass casualties and anti-government actions, the Turkish government labeled the group a terrorist organization. One of the women detained at the gathering was Ms. Ocak, a woman whose son disappeared after being detained by Turkish authorities in 1995. All of those who were detained, including Ms. Ocak, were released after giving statements to police, according to Turkish lawyer Efkan Bolac. The mass disappearances of "suspects" during the PKK insurgency has led to the annual protests ever since. Turkish police barred the group from holding their sit-ins for a decade between 1999 and 2009 but in the years after that had left the group alone. Today marks the first time police intervened in the Saturday Mothers gathering since 2009. A social media user shared an image of Ms. Ocak being detained in 1997 which is a bizarre reminder of how long the protests have continued.